Whether you have a wedding vision in mind or would like someone to plan the entire thing and you simply show up to the day, Smitten Events can make your wedding day as special and romantic as you have always imagined. By offering a variety of packages that have varying degrees of involvement from the consultants, couples are able to choose the services they really need for their party or wedding event. You will certainly be in good hands with this company helping you plan your big day. Over the last 10 years M. Red Events has been travelling throughout Tennessee to make a variety of events as special and unique as possible. They have created beautiful destination weddings as well as local events. This company is made up of a team of certified wedding and events specialists who know how to make an event look and feel elegant and beautiful. 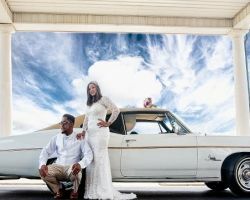 Their former clients rave about their creativity and recommend them for any special occasion, which is why many couples turn to them for their big day. Planning a wedding or event should be just as enjoyable as the event itself. By hiring Amy Miller Weddings, you will work closely with this professional events planner to experience the fun of planning your special event without the associated stress. 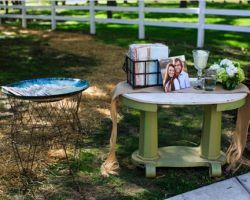 As a wedding planner in Memphis, TN, Amy and her team will act as the organizers and coordinators before, during and after the big day to ensure you are able to enjoy the entire thing without a single worry. 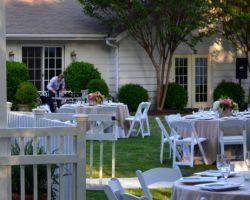 The Hardin House is an events design company that has a unique style and an unbeatable reputation. Holly and Richard are the founders and creative designers who have made this company successful, planning countless events and weddings each year in Memphis. 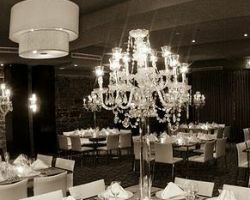 For high-end events with a clean and crisp style, this company is the very best option. If you want the style and artistry of a celebrity wedding while staying on budget, then meet with this team today and begin planning your wedding. Something Blue Events has clearly laid out their services and why they have been such a successful wedding planning company. Their creativity, partnership and service have made them the top planning company in the city. Your event will be one-of-a-kind when these event artists are able to put their creativity to work for you. In a partnership with their clients, they are able to use their creativity to match the style and needs of their clients perfectly. This kind of service is something that you will not find with any other company. 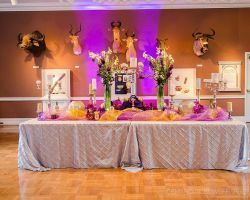 To become a successful Memphis wedding planner, you need to be completely focused on the details to make the bigger picture unforgettable. This is the exact reason that many couples turn to the planning and consultant services of Events With EAS. This company has managed countless formal events like weddings and galas as well as family parties and dinners with great style and sophistication. 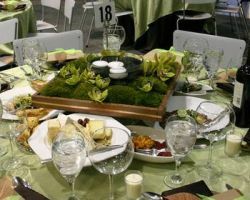 Enjoy a 15-minute free consultation and see what this company can do to make your event memorable. 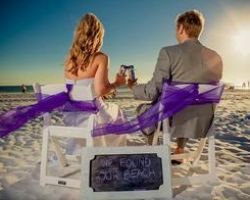 Siesta Key Events has won countless awards and been recognized by some of the most renowned wedding publications for their planning services in Memphis. They have proven their creativity and high quality services to be the best at many beautifully executed local weddings. They ensure the checklist is complete and all of the details are in order to make the entire event go as smoothly as possible. Couples can relax and enjoy their day knowing this company is there to help. There are countless wedding events and planning companies in Memphis, but few are willing to make the service for each client as personalized and unique as Uniquely Yours. Wedding and Event Planning. This company can make all of your wedding dreams come true by getting to know you as a couple, your wedding vision, and knowing your budget. All of these things help them create a beautiful and intimate ceremony and a fun and high-energy celebration afterwards at the reception.